This post is sponsored by Crock-Pot® Slow Cooker and Mirum Agency. The opinions stated are my own. Thank you for supporting the brands that keep Posh Journal cooking. 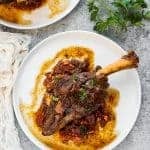 This easy recipe for slow cooked lamb shanks makes for a perfect meal to impress your guests at a holiday party or even Thanksgiving. 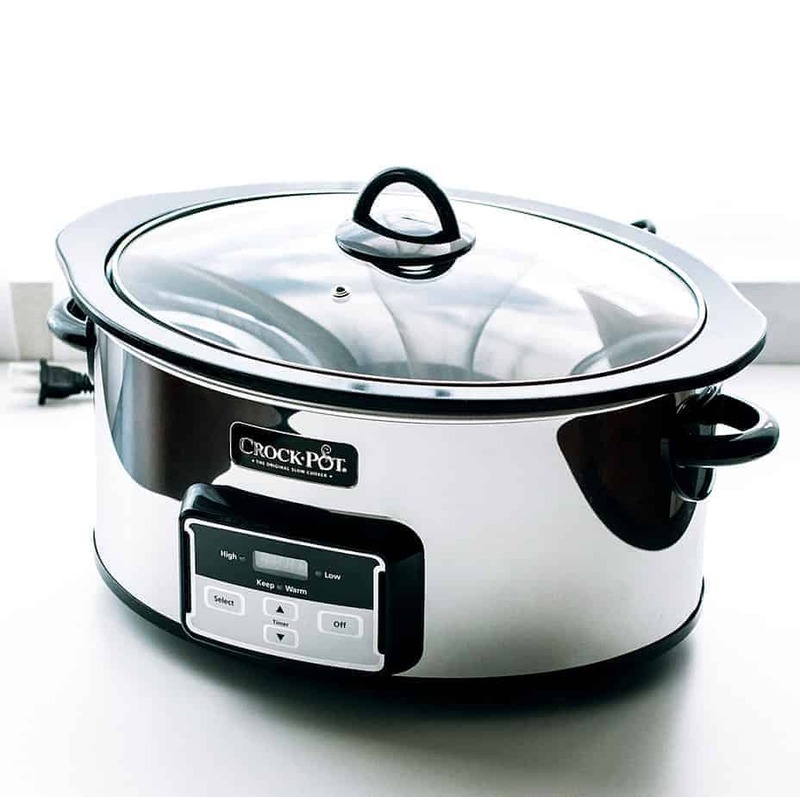 When I’m at my busiest I always appreciate having my Crock-Pot Slow Cooker. It’s kind of like having a second cook in the kitchen, one that is specialized in bringing out the juicy best flavor combinations of meats, veggies and more. 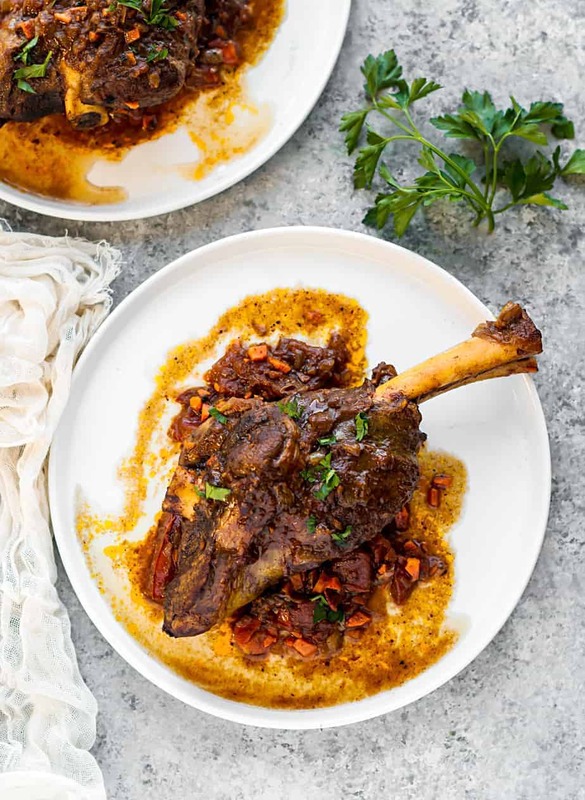 Lamb shanks are actually a wonderful dish to serve up at the holidays. For starters, it’s delicious tasting lamb! Lamb shanks also have a nice look to them, they sell themselves. When cooked in a Crock-Pot the lamb is so moist and tender. If you’re a fan of lamb osso buco or other variations where the meat just falls off the bone, then read on! Especially during the holidays I am always pressed for time, especially when juggling four different dishes all with the same tight deadline. With my Crock-Pot I can get an early start on a dish by just adding the contents and letting it do its thing. Prep time is a snap and I’m back to work on other stuff, or maybe take a break! In addition to freed up time I also gain back some space on the stove and in the oven. Per usual the slow cooker brings together all of the flavors, and this unique recipe has some great ones from the saffron to the nutmeg, the cardamom to the turmeric, and of course some good old onions and tomatoes. I think a key ingredient in this dish is cinnamon, which is especially fitting for a December holiday dinner. In a prior post I mentioned that I like to take some risks on Thanksgiving and break the norms a bit. If you aren’t in the mood for turkey then write your own Thanksgiving manual this year and try some lamb instead! Heat 1 tablespoon vegetable oil in a medium skillet pan and cook the onion until fragrant. Transfer to the slow cooker. Heat 1 tablespoon vegetable oil in a medium skillet pan and sear the lamb on all sides for about 5 minutes (until nicely browned on all sides). Transfer to the slow cooker. Stir together until the meat well coated and cook for 7-9 hours in low heat. I didn’t grow up eating lamb and I’ve never cooked it before. I need to make my lamb cooking debut with your slow cooked lamb shanks. Looks so good and I know my family would love it. 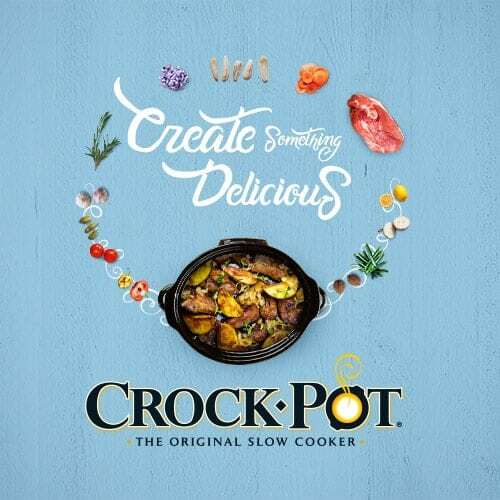 I always enjoy finding new crockpot recipes to add to my list. I think I would like to get this over the turkey on Thanksgiving! Wow does this look delicious. I have never tried but now I can’t wait to try. This looks and sounds delicious. I have not cooked lamb in years. it is one of my favorites too. I’ll have to try this recipe for myself. I’ve never made lamb before, but this looks delicious. I love using my slow cooker, I will add this recipe into my rotation. This recipe sounds absolutely delicious! 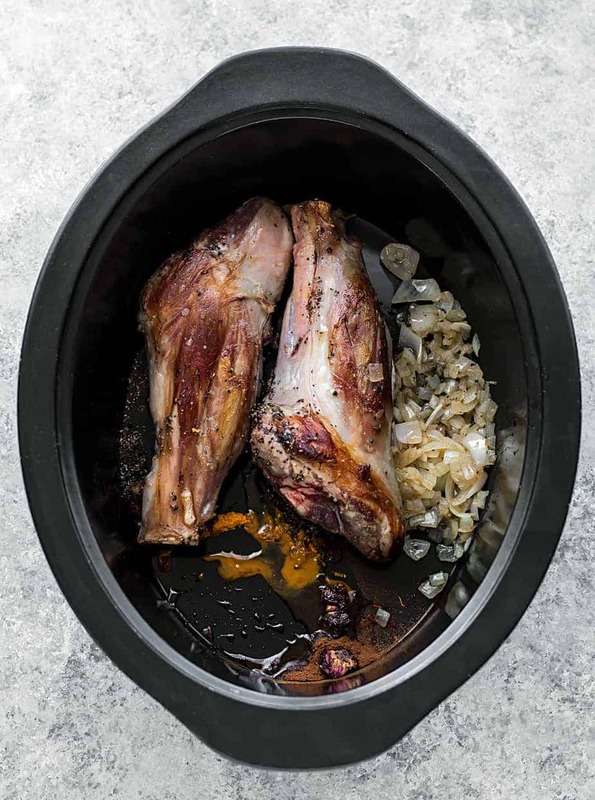 I really like lamb but have never cooked it – a slow cooker is a great place to start. These lamb shanks look amazing. It would be perfect for the next get together with friends! My other half would absolutely love that for dinner. You’ve really made me want to get a Crockpot for myself! 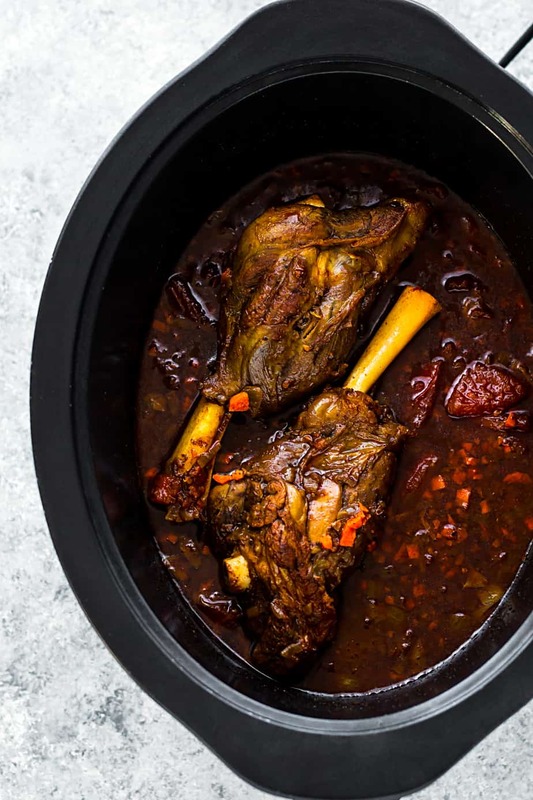 Those slow cooked lamb shanks look absolutely mouthwatering! I wish I had an slow cooker. I think I’ll have to add it to my Christmas wish list. I never made lamb on my own. This recipe looks amazing, and I think I may have to try it very soon! Thanks for sharing. This sounds good. I never had lamb but would like to try some. I have never had ham before!! This looks so good, love that they are made in the slow cooker!! I’ve never made lamb shanks before. I don’t think that my family would eat it to be honest but it looks so yummy cooking in the crock pot. I have never tried cooking any kind of lamb dish. This looks super delicious! Hi, you mention above that there’s wonderful flavours such as turmeric and cardamom but you don’t list cardamom in the recipe itself…should it be and if so, how much? Making this recipe in two days and I can’t wait!!! Hi Rachael, Thanks for letting me know about this. Luckily I kept the recipe on my cooking journal. I just reinserted the missing ingredients. I believe this error happened during transfering from my old recipe card to a new one. Hi, thank you for your speedy reply! I was wondering if this can be done on high for a shorter amount of time?